Our Peels combine a range of AHA’s to provide optimum results safely. Peels can reduce sun damage, dull and uneven skin tone, scars, pigmentation, acne and enlarged pores, improve hydration, skin texture and provide amazing anti-ageing results. A face peel is a treatment that involves the application of a chemical solution to the skin. 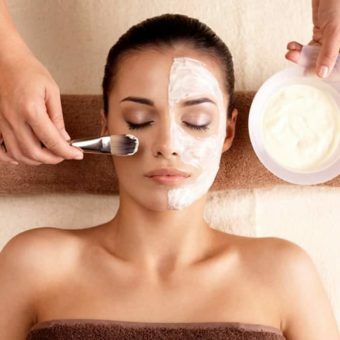 The Revive Skin Emporium offers facial peels using specifically-formulated skincare products. The mildest formula, producing the lightest peel effect, contains alpha-hydroxy acids (AHAs). These include fruit acid, lactic acid, and glycolic acid chemical peel formulas. Lactic acids can also aid in balancing the pH levels of the skin. We suggest 6-10weekly Hydration Peels, followed by a Multifunctional peel 4 weeks after final Peel. The skin must be prepared with a selected AHA product for 2 weeks prior to the first peel.